There are so many new improved types of heat sources in the design world these days. Lets take a look at some of them. Including my favorites, the most incredibly unique, and best designed. There are numerous fireplace options different from the options of the past, in home design these days. I will be uploading and reblogging many of my favorites. 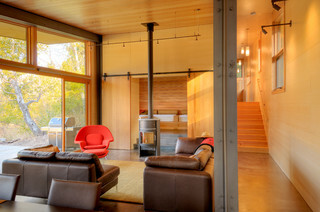 Also, remember to JOIN the HOUZZ.com Design Community! Great info, photos, and idea exchanges.